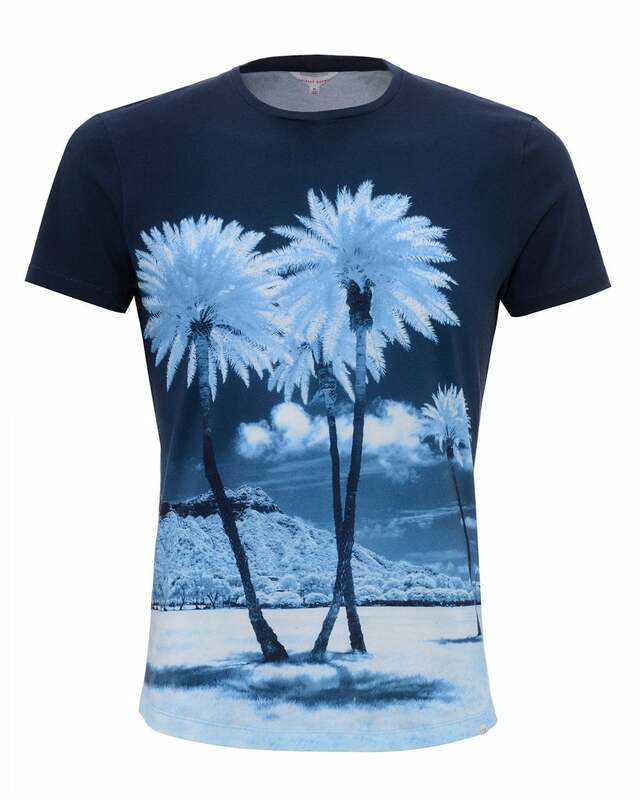 Add a summer flair to your wardrobe with this blue palm tree photographic t-shirt. Cut for a tailored fit from lightweight fabric, this tee features a curved hem and a branded tab to the hem. Pair effortlessly with swimming trunks for that eye-catching beach look.